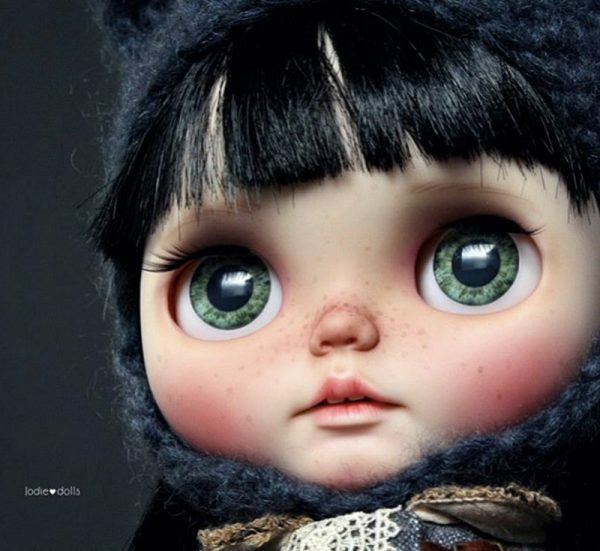 If you’re a Blythe doll purist, you may want to look away now. 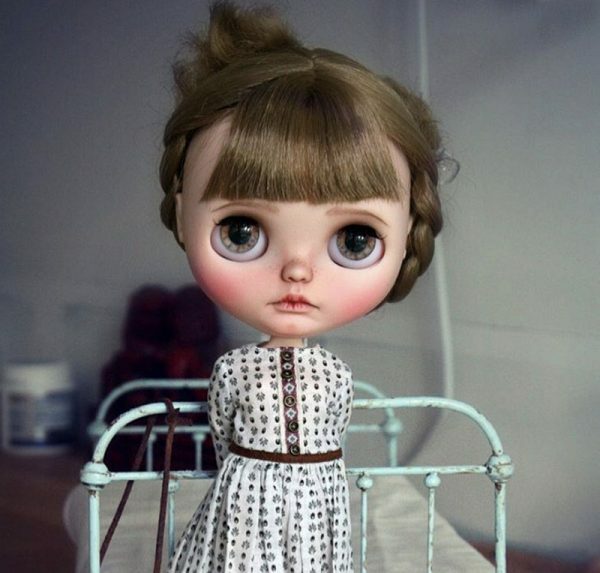 While the original dolls have quite the cult following (despite the original production run in the 70s only lasting one year), artisans have been putting their own beautiful twist on the doe-eyed dolls and have created a whole new wave of fans. Blythe dolls had a rather short and sweet genesis, creating in 1972 but only sold for a year before being being removed from the market. Of course, eventually these original dolls became highly sought after – with their changeable eye colour and rather expressive faces. In 2001 Japanese toy company Takara began once again producing these beauties as Neo Blythe. And now they’re undergoing a third resurgence, with hobbyists customising the dolls and reselling them for upwards of $2000. 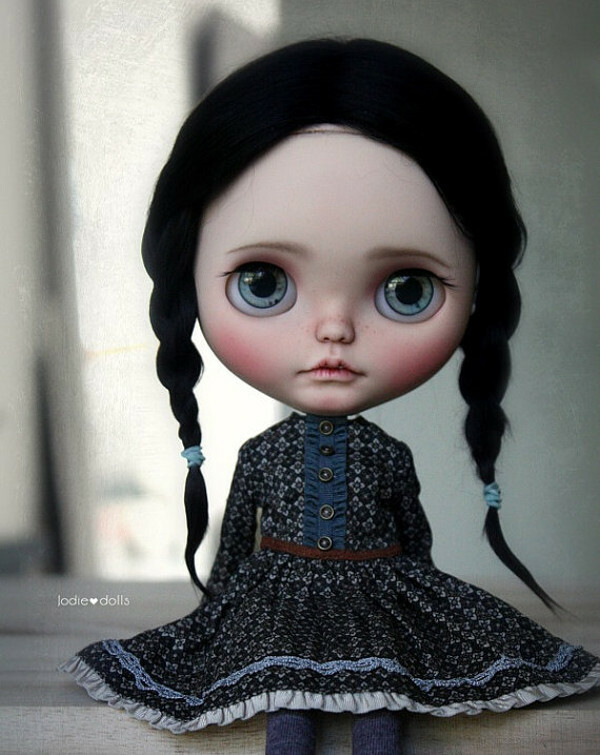 One such creator is Jodie, of Jodiedolls, who hails from the Netherlands. 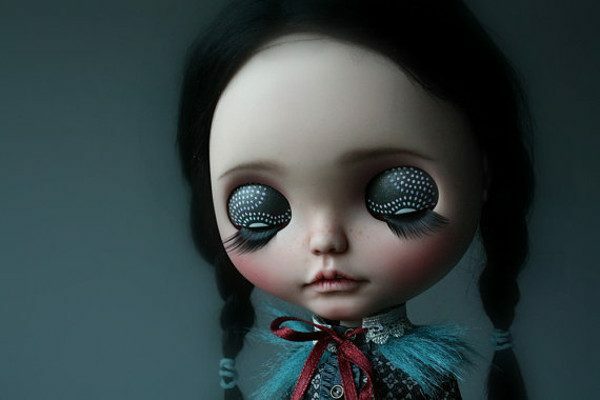 She takes the face plates of Blythe dolls and carves and paints detailed features, giving them even more expression, and adds stunning wigs to complete the look. 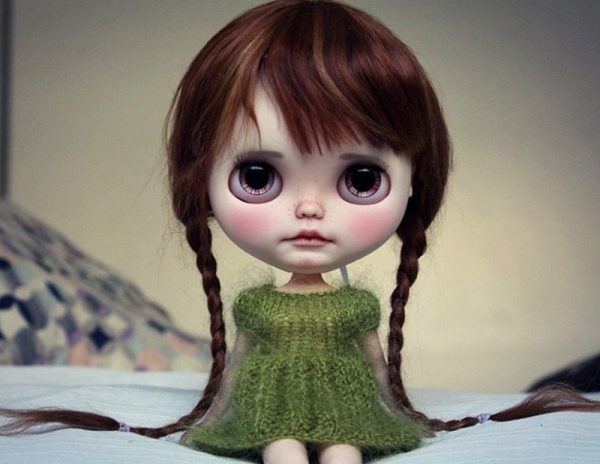 She also makes intricate clothing, giving each doll a name and personality. Her dolls are in high demand, often snapped up as soon as they’re listed on her Etsy store, despite their rather hefty price tags. While these beauties certainly aren’t children’s playthings, you can find a whole archive of toys perfect for little ones in the Babyology archives.